Join EdTech: Focus on K–12 as our editors cover the 2017 Consortium for School Networking (CoSN) Conference. 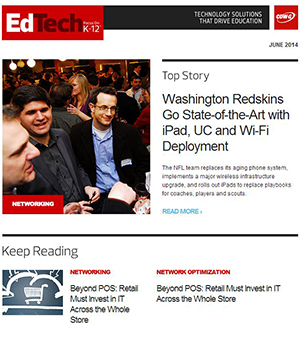 Keep this page bookmarked for stories, videos and tweets from the EdTech team. Follow the hashtag #CoSN17.